$645 for 5 Hours or $745 for 8 Hours. (Plus Tax) Don't be confused by imitators this 70ft obstacle course has 3 climbs, 2 slides and 3 obstacle zones. 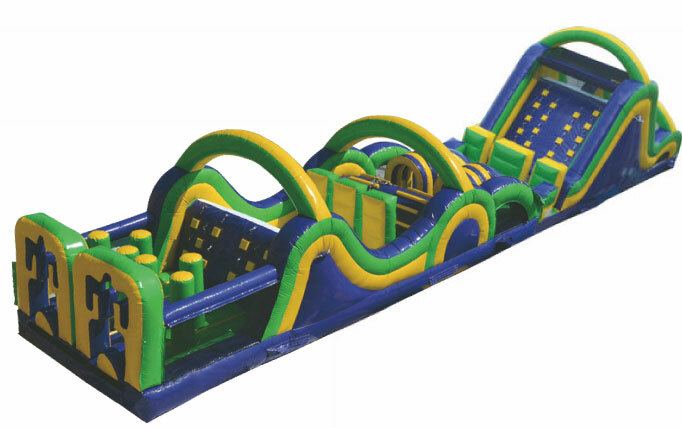 Two participants can race through 70 feet of inflatable obstacles that include a climbing wall and a slide!